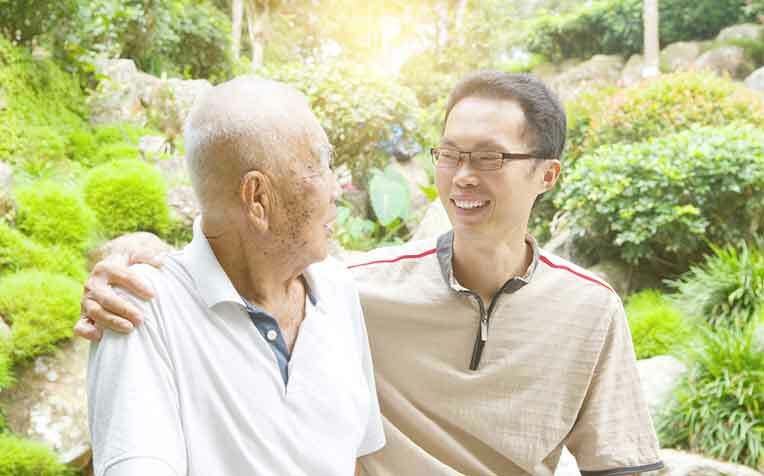 Dr Vanessa Mok, Associate Consultant for Psychological Medicine, and Anuradha Kaliappan, a Senior Medical Social Worker, both from Changi General Hospital, share tips on how to care for a dementia patient and prevent caregiver burnout. ​can be challenging and stressful. Thus, it is important for caregivers to take steps to prevent burnout. Dr Vanessa Mok, Associate Consultant for Psychological Medicine, and Anuradha Kaliappan, a Senior Medical Social Worker, both from Changi General Hospital (CGH), a member of the SingHealth group, share tips on how to care for a dementia patient and prevent caregiver burnout. Caring for people with dementia can be challenging and demanding. Caregivers can experience social isolation and physical exhaustion, as well as having to bear the financial burden of caring for someone with the disease. Feelings of frustration, anger, guilt and anxiety can set in. However, caregivers also report that the bond between them and the person with dementia deepens through care, companionship and service. Their problem-solving and relationship skills also improve, and they form new relationships by engaging in community services. Stress and burnout are the most common problems experienced by caregivers. These can manifest as emotional outbursts, poor sleep, weight changes, lethargy, difficulties in concentration, and neglecting other roles and responsibilities. When caregivers experience burnout they can no longer care effectively, and this has a negative impact on both the caregiver and the person with dementia. A three-hour programme that engages people with dementia in activities. There is shared caregiving during the session, allowing caregivers to have some respite. ADAcafe aims to provide purposeful therapy, job training and possible meaningful employment for caregivers. For anyone who needs help or information about dementia. Operating hours: Monday to Friday, 9am to 6pm. Set up by ADA, this programme has an occupational therapist and a social worker visit the home to assess and advise on the management of the person with dementia. Safe Return Card identifies a person with dementia who is lost. It has the caregiver’s contact details, so anyone who ‘finds’ the dementia patient can easily inform the carer of his/her location. Dementia day care centres engage the person with dementia in meaningful activities during the day. Visit the Agency for Integrated Care’s website at aic.sg. Selected centres offer extended day care on Saturdays.